French progressive-extreme metallers GOJIRA are currently in the studio putting the finishing touches on their fourth album, "The Way of all Flesh". 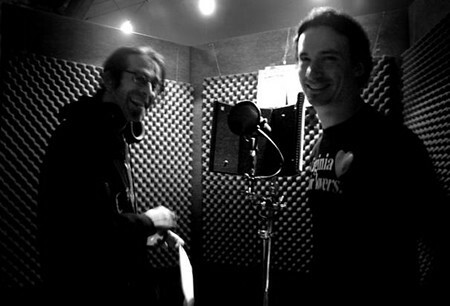 Randy Blythe of American metal kings LAMB OF GOD has kindly offered to guest on one song entitled "Adoration for None". In a recent interview with MTV's Metal File, GOJIRA frontman Joe Duplantier revealed that the group's new CD, which is slated for a Stateside release October 14, is a conceptual work, focusing on the morbid topic of death. "That's the theme — it's about death itself," he explained. "It's also about the immortality of the soul. That's the main subject for us. Since we started to play and release albums, we've always talked about the same thing: the soul. "This album's got a more dramatic feel to it, and some of the lyrics are almost cynical," continued Duplantier. "Usually, with my lyrics, I'm always positive. But on this album, I'm so pissed off with the situation on Earth right now, how we're abusing so much, and we take everything that we can take from the ocean, and we kill off endangered species. So in some of the songs, it's almost like a requiem for the Earth. This record is a lot darker — like, a lot darker, I would say. The music is darker and more violent."